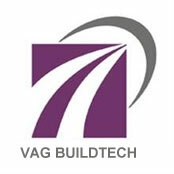 With a vision to create best infrastructure of exemplary excellence, today VAG Buildtech Pvt. Ltd is forging ahead with many folds with the vigor and commitment. We envision building world-class infrastructure that will boost our economy and change the face of the future of the country. With an aim to maintain consistency in our every endeavor, we extend our promise to better ourselves wherever & whenever required and with our powerful belief to achieve excellence in our work, we are sure that with us, future will be bright. People often become what they believe themselves to be. If we believe we cannot do something, it makes us incapable of doing it. But when we believe we can then we acquire the ability and skill to do it even if we did not have it in the beginning. Sunilhitech Infra is a socially responsible company and strongly values, believes and ethics in development which are beneficial for people. Our responsibility towards society starts right from conducting our business work as per standardized norms and procedures which are laid for the betterment of the communities and society . As a social responsible company we take care of health & safe work environment to our employees and ensure a fair compensation and equal opportunities to all, we also groom young engineers in our training institute for further enhances their skill and to deal in difficult situations. We safeguard our environment and planet through positive steps and through proper measures regulation, compliance. We have initiated various program as a social commitment towards our employees and environment and also took initiates of various programs for the upliftment of society. Being an indispensible arm of Sunilhitech Group , VAG Buildtech is providing its best infrastructural solutions for all of its group companies. Today we are synergizing with the group and developing various projects for our groups trust, Govt. Projects, Commercial and Residential Buildings, Municipal Solid Wastage (MSW), Water and Environment, Road etc.. In recent years, a tremendous surge in economy has positively impacted Indian businesses and attracted a large number of economies across the globe. Looking at the present scenario there is an urgent need to develop infrastructure so as to keep the economy flourishing. Moreover to unleash its full potential, India has to ameliorate infrastructural facilities through the active participation of both public and private sectors while inducing innovative technologies and introducing new growth prospects. With an absolute objective to craft immaculate infrastructure and grow steadily adhering to a strong belief to disseminate excellence while best contributing to Indian economy & infrastructural growth, VAG Buildtech came into existence. Its an infrastructure wing of Sunil Hitech Engineering Group and is one of the fastest growing unit having diversified interests in infrastructure projects. A committed team achieve success. At VAG Buildtech, achieving excellence through teamwork is always given a priority. We believe that right people at right place make an organization do well and grow. And it is because of sheer talent of the team, any project can be accomplished effectively and efficiently. Setting the peerless examples of best teamwork within the company as well as with the group, our passionate team of extremely talented individuals works efficaciously in perfect coordination to achieve desired goals. Success of our every endeavor and each project lies in the supreme vision of the chairman of the company. His sheer brilliance in leading all the aspects of business with his power of belief to excel, guides us in every walk of life. Under the constant guidance of the chairman, the core management of the company lays out the plan for the projects, analyse the project viability in terms of financial and material budgeting & allocation and decide the best process of project execution. Once the plans are set, the project is handed over to management under whose vertical the project comes. The management team of that vertical then carries out the project with perfect synchronization of man, money & material and executes all the processes through its experience and expertise. Having an excellent team of highly knowledgeable and well-experienced professionals with a perfect blend of passion & perseverance, flair & skill, experience & expertise, our company is moving ahead with a commitment to create best infrastructural solutions for all. The management at VAG Buildtech has a dual role to play-to persistently pursue the long-term growth of the company and to ensure effective execution & control for constructing exceptional projects with highest quality standards. All decisions as regards to the company or projects are inclined towards corporate interest as well as in the interest of the every group or every individual benefitting from it. While formulating the best infrastructural solutions with an excellent team of managers, planners, engineers & contractors, the management ensures that the financial and human resources are in synergy with the company to meet its aims & objectives. Our belief of creating a better world where everybody get best facilities to live happily invokes us to develop upgraded infrastructure in urban areas. With an aim to improve and enhance urban infrastructure of the country, VAG Buildtech is developing a number of projects. At present we are constructing 2 Sudha Ghar in the State of Punjab and we are have undertaken for the construction of 4 redevelopment residential building project in Mumbai to create a better lifestyle for all. Solid Waste Management has a vital role to play in achieving developmental goals in health and environment sustainability. Looking at such a rapid growth in economy and speedy urbanization, effective delivery of solid waste management infrastructure and services is essential to improving health, environment and overall quality of life for all individuals. Being a company with the goal to create a healthy environment for all, VAG Buildtech has ventured in solid waste management infrastructure and successfully providing solutions for collection, transport, processing and recycling of solid waste to efficaciously nullify its effects on health and environment at present we are working with Kolhapur Municipal Corporation for a capacity 200 TPD. Our focus is to generate energy from waste and other organic compost & inorganic byproducts (i.e. Waste to Energy Concept) by adopting innovative technologies that are environmental friendly. Applying better technologies in such projects, VAG Buildtech will contribute a lot in minimizing the emission of Green House Gases which are generated through the usage of fossil fuels for power generation, thus help in developing a pollution-free environment. Moreover the application of advanced solid waste management techniques also help in minimizing the rejects from the treatment plant and save enormous land fill space, creating a healthy environment for the society. Day by day, the need for non-conventional & marginal water resources such as desalinated seawater and brackish water is increasing at a rapid pace. Today, there is a huge necessity to develop, distribute and manage water system & resources especially for potable applications and irrigation. Looking at the tremendous opportunities in this sector, VAG Buildtech is moving ahead to undertake water treatment, distribution & management projects for surface water as well as for seawater desalination. Providing the specific know-how and services in the field of desalination, including planning, designing and installation of top- grade plants, producing drinking water that is highly competitive in terms of unit price and quality, we are enhancing the lives of everyone while channelizing the flow of wellness in the form of pure drinking water. With our close association to various other desalination industries and research institutions, we are sure to meet the present demand of safe drinking waterof the country. Clean water has been a concern, nationwide and it is considered as a basic requirement to live a hygienic life, full of health & wellness. To make our environment & lifestyle free from water-born diseases, there is an ardent need to treat the water before getting it consumed. Sewage/ Wastewater Treatment & Recycle is a process of removing soluble & insoluble contaminants (physical, chemical & biological) from domestic sewage & industrial wastewater and making it pure to consume again by adopting Zero-Discharge Concept. It is a multi-stage process to renovate sewage or wastewater before it re-enters a body of water and contaminate it with its pollutants. With a clean and clear aim to provide infrastructural solutions for sewage & waste water treatment (primary, secondary & tertiary using conventional & advanced technologies) & reuse, Sunilhitech in committed for the betterment of human life.